Siesta Key Beach has been voted the number one beach in the world, and it is not too difficult to see why. Our wish is for you to have our number one beach be the number one thought on your mind, and not what’s for dinner. From small and quaint gatherings to bigger parties with more mouths to feed, Siesta Concierge can cater (literally) to your needs. Our guests love catering an event or gathering using our popular local vendors, and they have been known to return seasonally to be spoiled and surprised by delicious Florida seafood, fresh from the Gulf. We have organized parties at numerous locations: Siesta Key Beach pavilion, Vacation Rentals, parks, and other desired locations. We bring everything to you, and you need not worry about a thing, except who out of your party can fit the most hush puppies into their stomach. 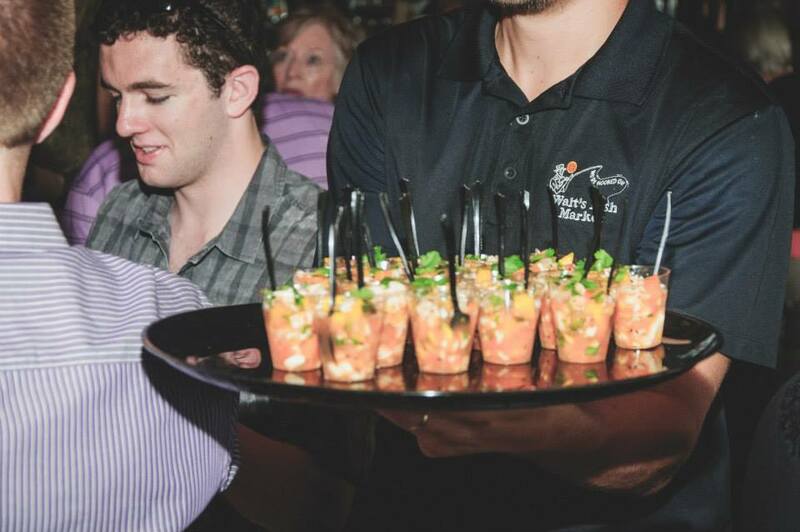 We provide many options to choose from for your catered service, and the customer favorites are the Seafood Raw Bar combined with a cocktail party, the Florida Cracker Fish Fry, and if you’re looking to tie on a bib and get messy, our Lobster Bake dinners have always been a hit for special occasions. We have mastered wedding rehearsal dinners, bridal showers and more. If you still wish to enjoy our seafood but have no need or desire for a party, we can still deliver Seafood Specialty Platters, Lobster Pots and more, right to your door. Just ask!